Eclipse Studio is a 684 square foot studio space, with a petite lobby area, private bathroom, and landscaped outdoor space (seasonally available). Ample parking, walking distance to the Vineyard Haven ferry, with private event and class staffing and support. We are a community space across disciplines: art, education, fitness, holistic health and more. Eclipse Studio is available for one-time and repeat rentals. Interested in reserving the space? Reach out to us at (617) 935 - 6499 or fill out the contact form on the homepage. A 5 minute walk from the Vineyard Haven ferry port, Eclipse Studio is open year-round and available to on-island and off-island visitors. 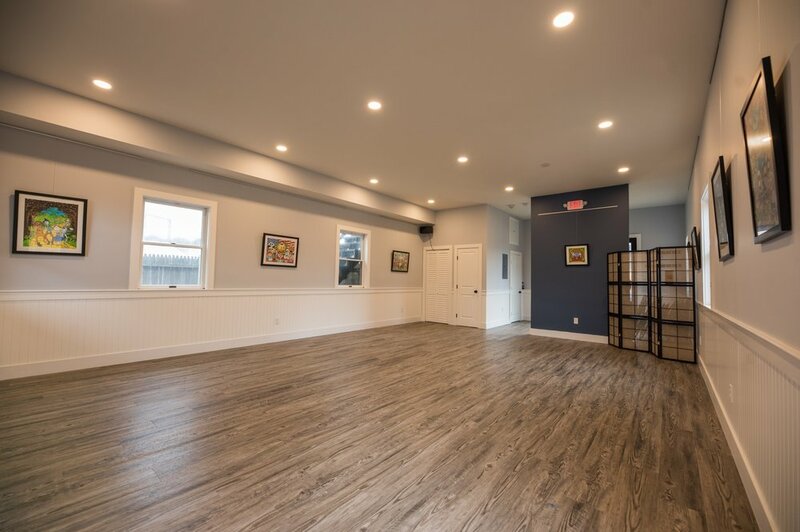 The space is available for use and rental by all, including holistic practitioners, artists, educators, nonprofits, businesses, and individuals. Eclipse Studio opened its doors in late 2018 with more than 20 public and private classes and events offered weekly.